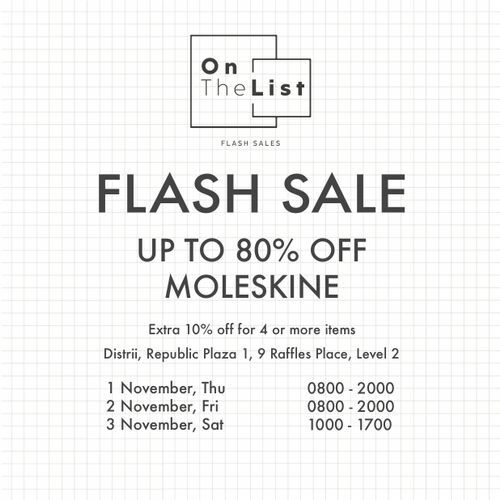 Independent, members-only flash sale platform, OnTheList presents its third flash sale featuring Italian papermaker and product designer Moleskine! The flash sale will stock iconic Moleskine notebooks and journals, as well as premium organisers, device accessories, bags, and writing instruments. Mischa will also be available in limited stock. The brand known for their iconic hexagon print tote bags and is essential for any avid traveller. Public can now register as a member (free) on OnTheList website for exclusive access to the members-only sale and follow @onthelistsg Instagram to find out more about the upcoming sale.